With the August 2nd launch date for the Galaxy Unpacked barely two weeks away. Samsung seems to be unable to keep the Galaxy Note7 under wraps with the press renders being the latest material to leak. The press renders shows the colour options that the Galaxy Note7 would be available. 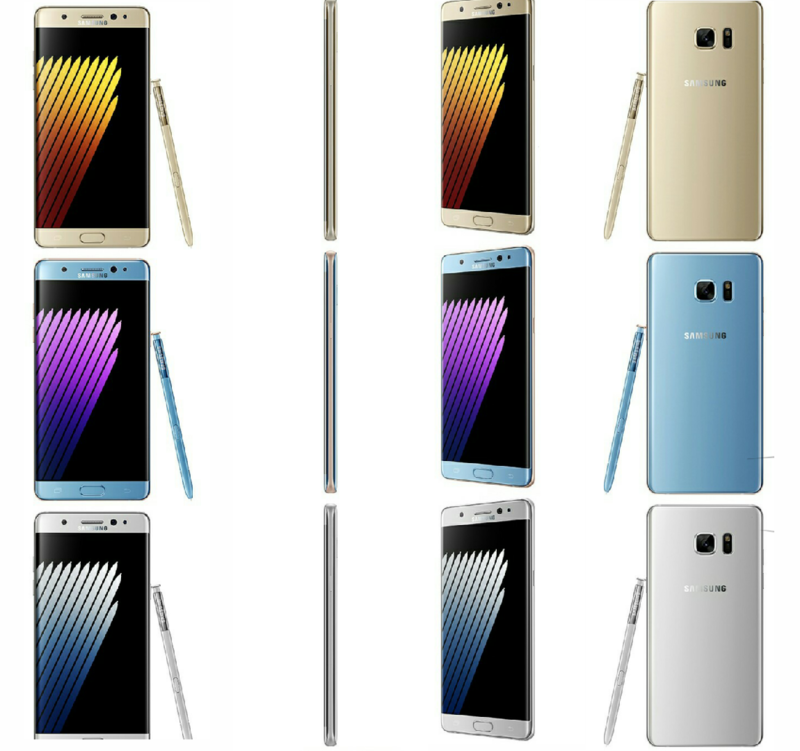 The Galaxy Note7 would be available in a choice of blue, black, white and gold. Samsung spruces things up a little bit by making the edges contrast with the body.